PTE Academic test and the IELTS are both English tests for foreign nationals and students aiming to study or work in English speaking countries like Australia, New Zealand, Canada, the UK, etc. Both these tests demand a thorough understanding of English Grammar, and Comprehension. The tests are evaluated to perfection and results are delivered within a short duration to help obtain Visas or University seats easily and fast.PTE Academic test is Approved by the Australian & New Zealand Government for Study and permanent resident visa application. Accepted by thousands of institutions in the UK, Australia, USA, Canada, New Zealand, and Ireland, including Harvard, Yale, and INSEAD. PTE Academic is more convenient since registration, the actual test, and evaluation is all automated and does not involve manual intervention. Hence, students who are not very confident of facing human evaluators can complete the test quickly and get the results within a week. Since all the evaluation is done on computers, there is close to 0 chance of discrepancies or unfair assessment from occurring. The actual test is divided into successive, quick sessions that students will have very little trouble attending. IELTS tests are conducted on specific days as determined by the IELTS council. To enrol, you should regularly look out for dates and pre-book months in advance. On the other hand, PTE can be registered for before 24 hours and does not need advanced pre-booking. Test dates for PTE Academic are available at regular intervals throughout the year, thus making it more preferable than IELTS. Instead of waiting for months on end feeling anxious and uncertain about your Visa application or University seat. Choose the PTE Academic instead of IELTS to get test results in less than a few days so that you’re free to think about your other commitments. Indeed, a test result cannot get any faster than this. PTE’s fast result TAT makes it a more preferable and popular choice among foreign English test takers. One can send PTE result online to assessing authority for visa application. For applicants from different countries who have little experience conversing and interacting in English, writing using pen and paper and facing human evaluators becomes an additional burden. 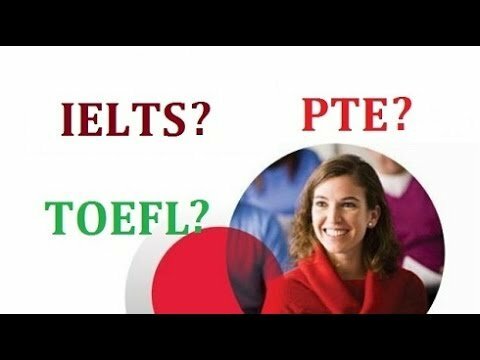 For people who struggle with oratory confidence, speaking into a microphone provides welcome relief, and that is why PTE is more preferred compared to IELTS. You can also take mock online tests for PTE Academic and evaluate yourself beforehand to develop more confidence. PTE Academic relies on American English. It is being widely accepted and preferred than IELTS and TOEFL. PTE Results are slowly accepted and preferred all over the world for MBA Programmes and Employment Visas. Since PTE relies on the newest technology. It may permanently replace other English Tests like TOEFL and IELTS in the years to come.